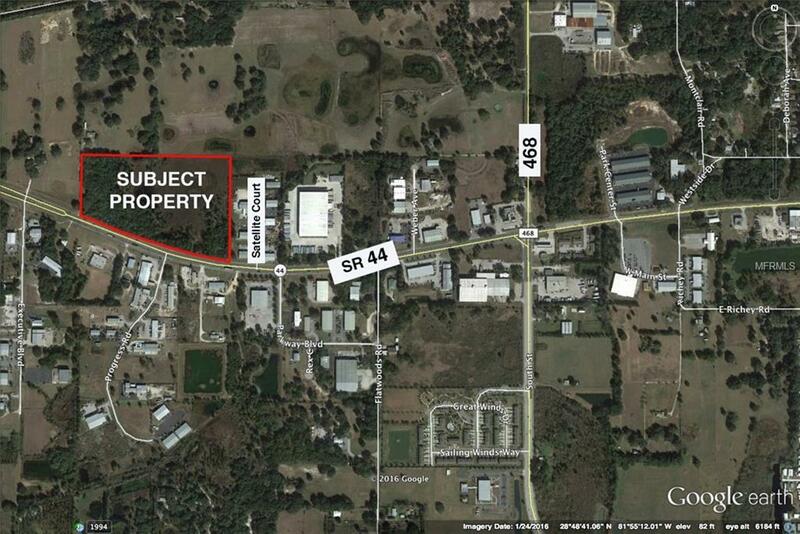 1400 FT +/- frontage on SR 44 approximately 1/2 mile west of CR 468 and The Villages. 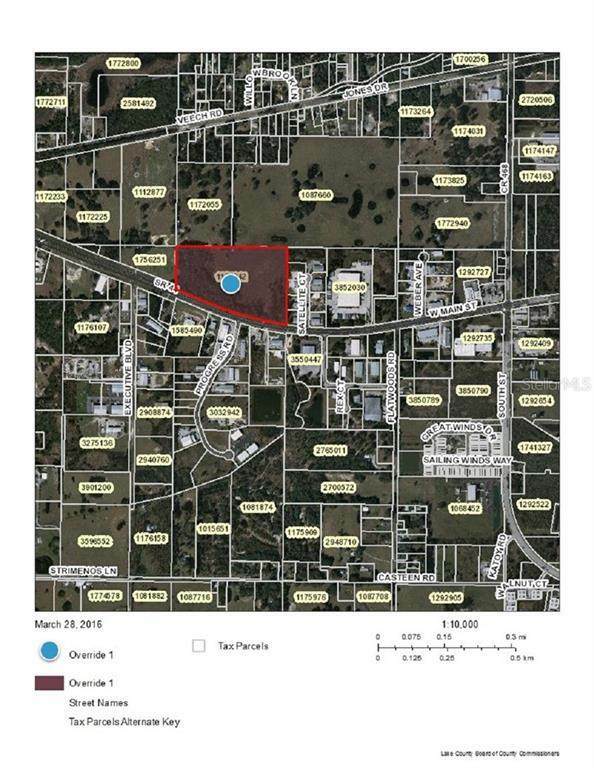 FLU Industrial zoning M-1 22 acres with 7 acres +/- estimated build able. Balance of property Conservation. Great site for industrial/Mini-Warehouse/Auto dealership, many others. Also would be great location for Multi family. The Villages has approvals for interchange at Turnpike and CR 468. Excellent transportation system and improving. City water & sewer available. SELLER FINANCING WILL BE CONSIDERED. Seller is willing to sell one division to the property as East Parcel at $375,000 and the second division as the West Parcel at $425,000.